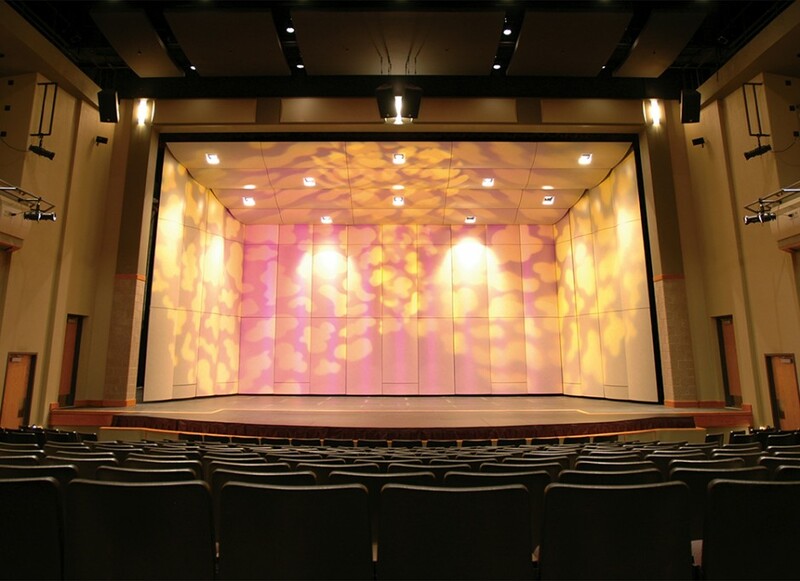 The Opus II Concert Acoustic Shell creates a beautiful, acoustical performance space wherever you need it. 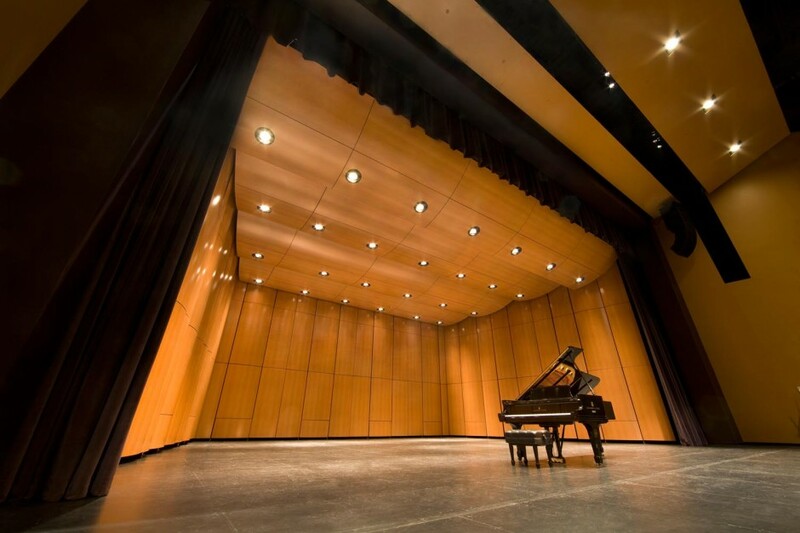 The Opus II Concert Sound Shell System creates a beautiful acoustical performance space on the multipurpose performance stage. 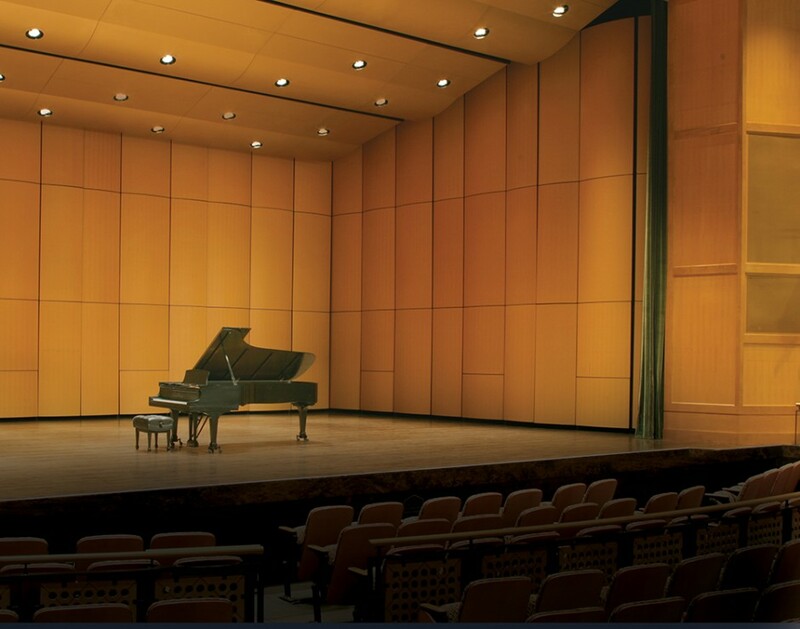 Choose from over 200 colors and finish options to create the perfect concert hall appearance, one that is enhanced by our fastener-free acoustic panels and minimal joints. Access doors are available in flexible tower locations. Choose the location and quantity of doors as bracketing is standard equipment on all tower wings. 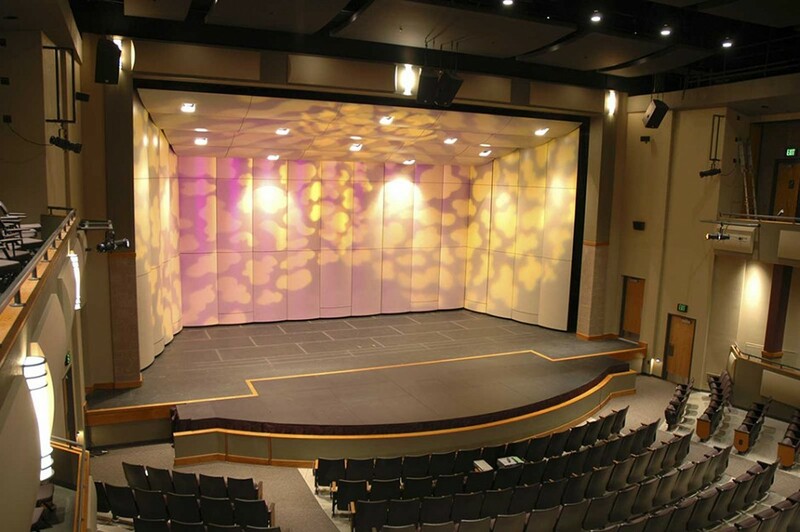 Together the StageRight Opus Acoustical Towers and Ceiling Cloud Panels will create a beautiful Orchestra Enclosure that provides maximum sound reflection, ensuring performances look and sound perfect. 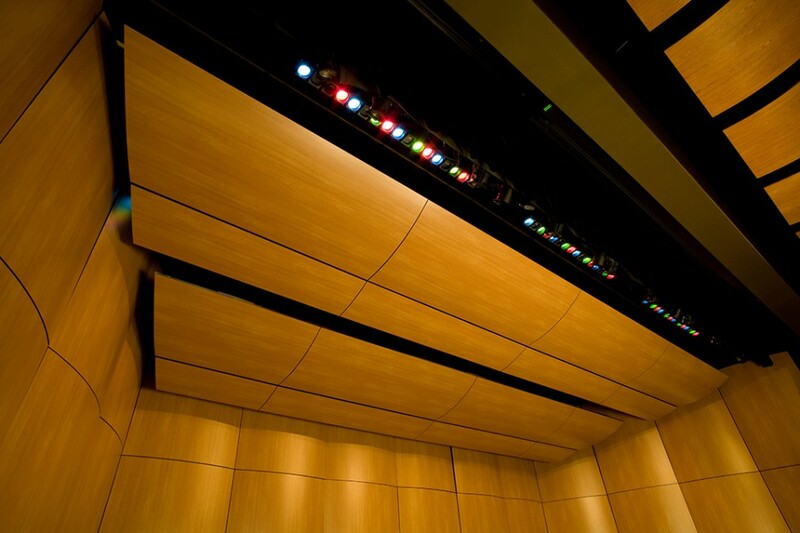 Maximize sound reflection with bowed, structurally laminated stress-skin sandwich acoustic panel. 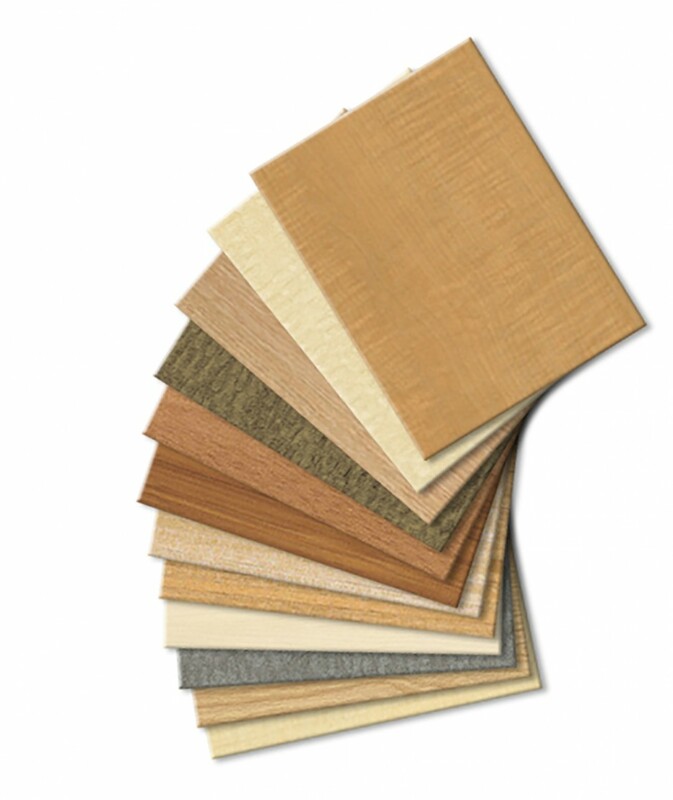 The plastic-laminate surface resists scratching and wipes clean for easy maintenance. Save storage space with A-shaped bases that nest compactly. 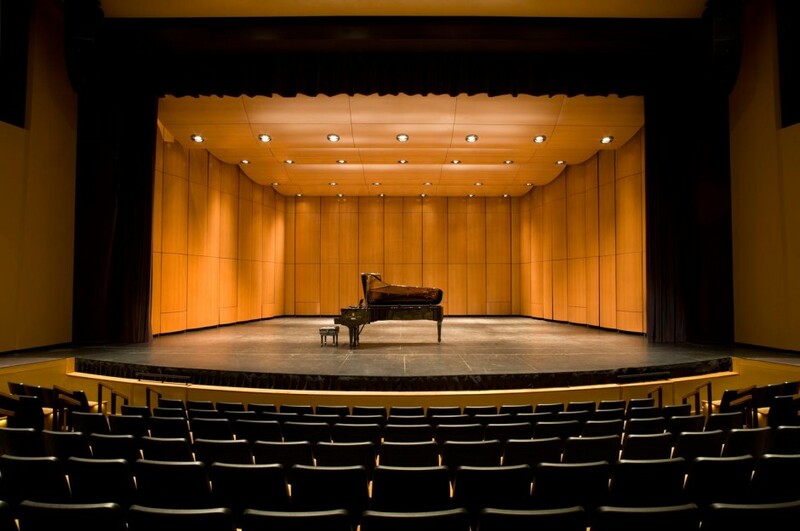 Most StageRight Orchestra Shell systems require only the space of a grand piano. Perform safely as a counterweight provides tamper-proof stability. 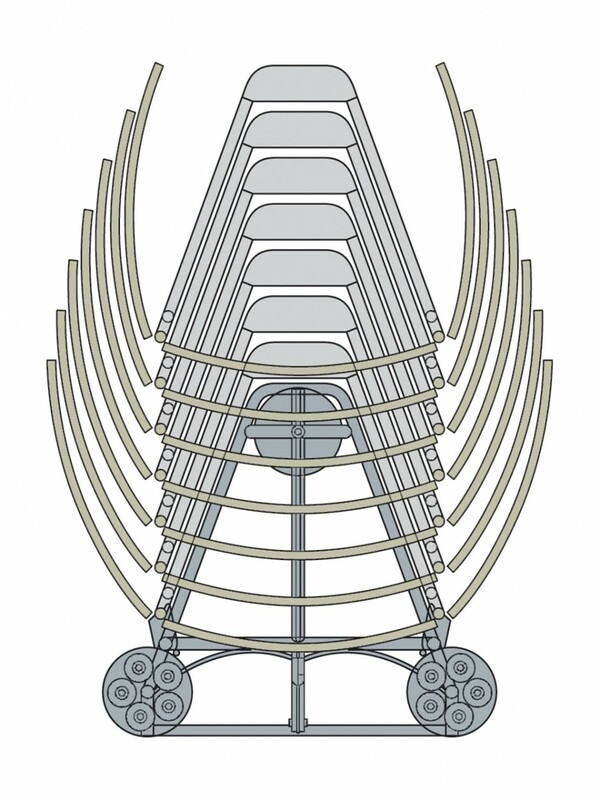 Self-locking wing braces hold wings securely in locked position. Protect floors with large, padded adjustable feet that minimize point load. Up to 12’ wide by 30’ tall. 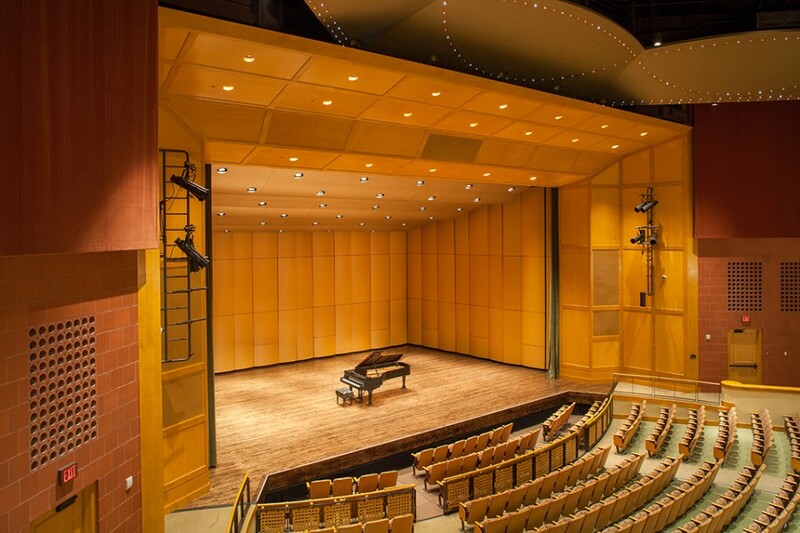 Each Acoustic shell tower features a center supported tower with is wings which act as doorways. The integrated acoustic ceiling clouds provide a finished look while storing compactly to eliminate lost space in you fly loft. 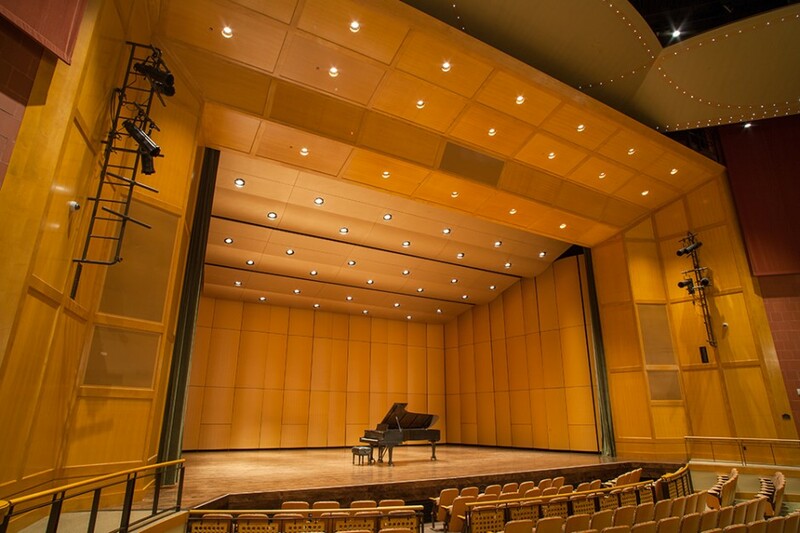 Hanging brackets connect your acoustic ceiling clouds to your battens securely. 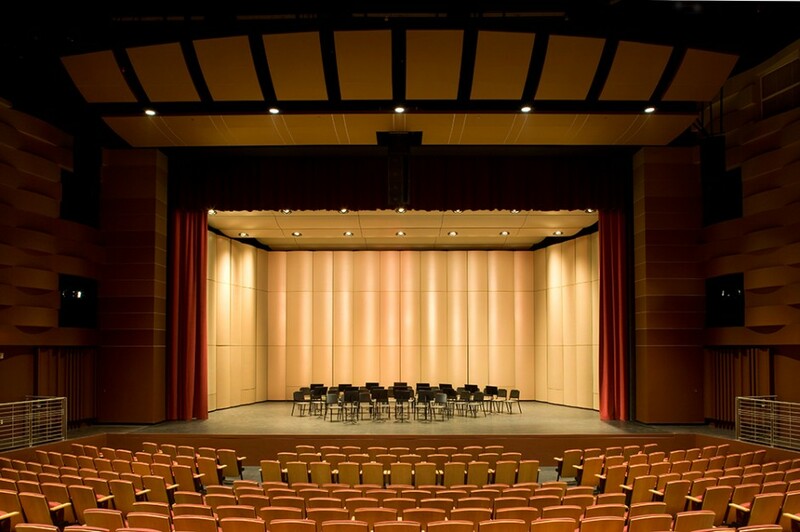 Optional removable ceiling cloud system is available for spaces that can not dedicate a line set full time to the orchestra enclosure. 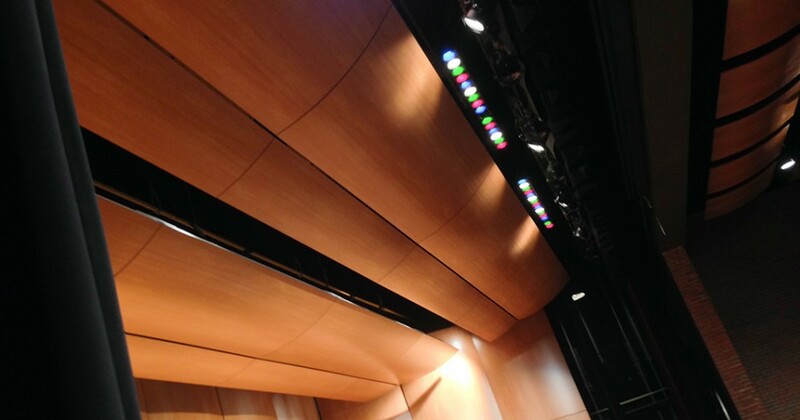 Our variety of ceiling cloud light options allow you to choose the right solution for your performance stage space. 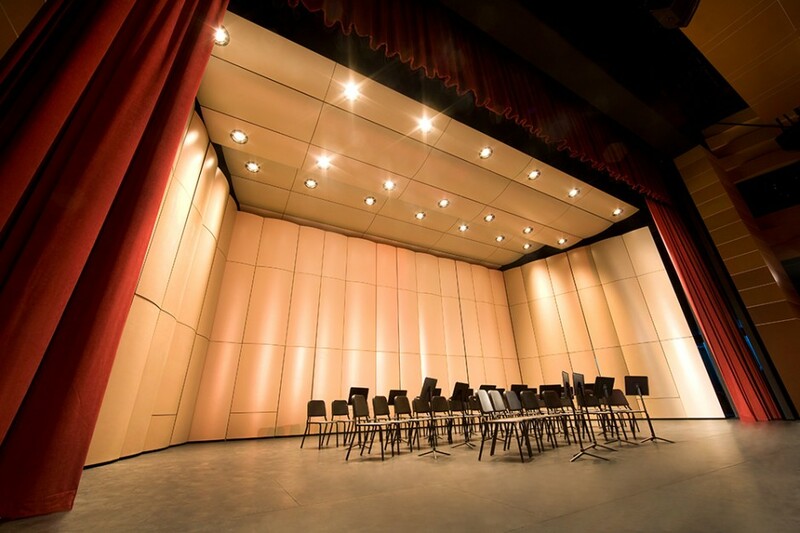 Due to the custom nature of Opus II Concert Orchestra Shells, please contact a sales representative at 800-438-4499 to discuss your facilities needs and to receive design assistance, specifications and pricing. 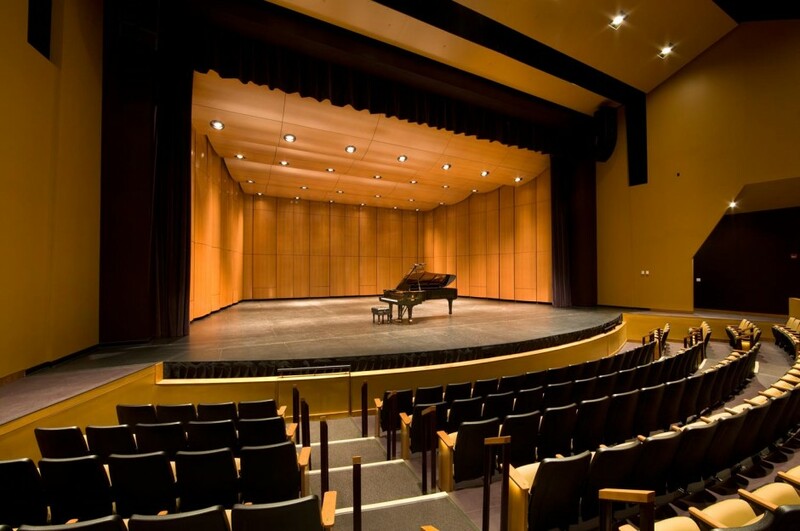 Complement your performance stage environment with choice of wood veneer, laminate or painted finish options. 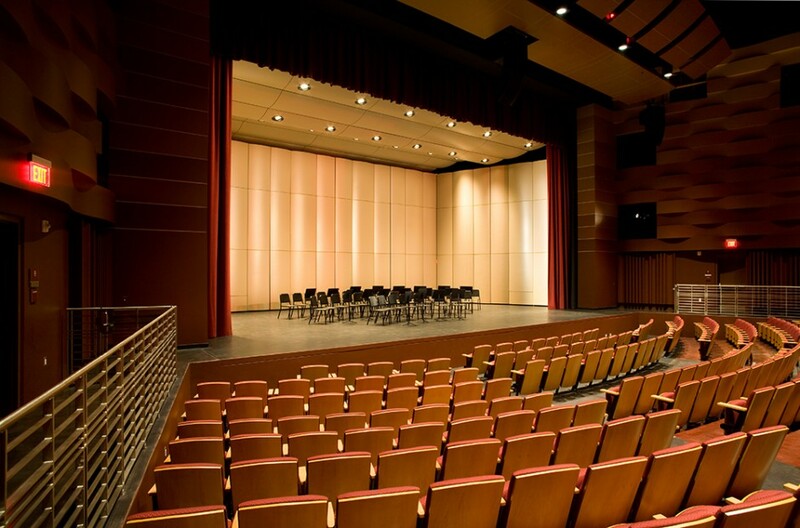 Choose from over 200 colors and wood grains to create a beautiful concert hall appearance. 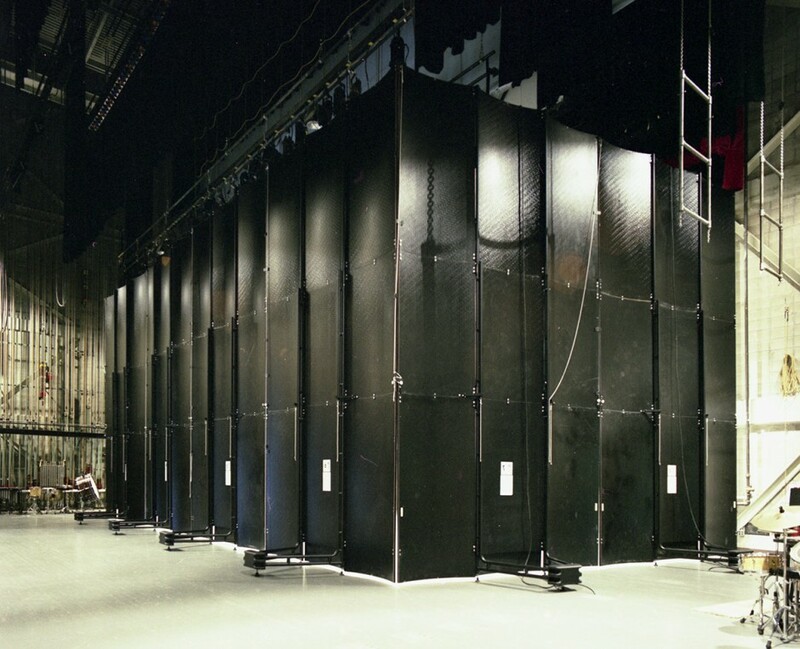 Our Acoustic Shell tower transport make setup fast and safe. 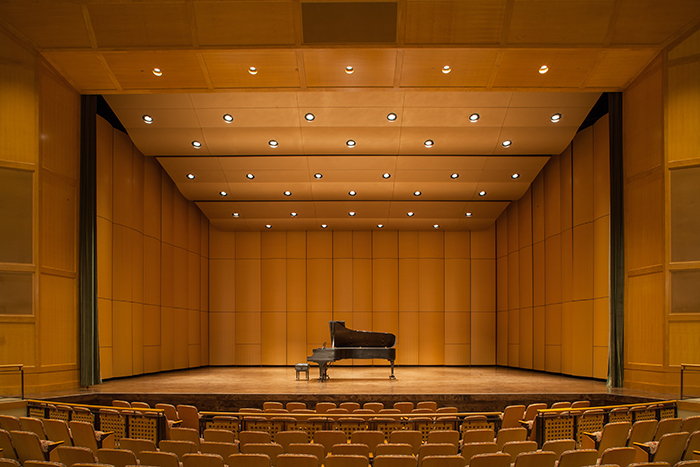 Move and position Music Shell towers safely because their weight is evenly distributed. Setup time can be minimized because orbital casters facilitate movement in any direction.